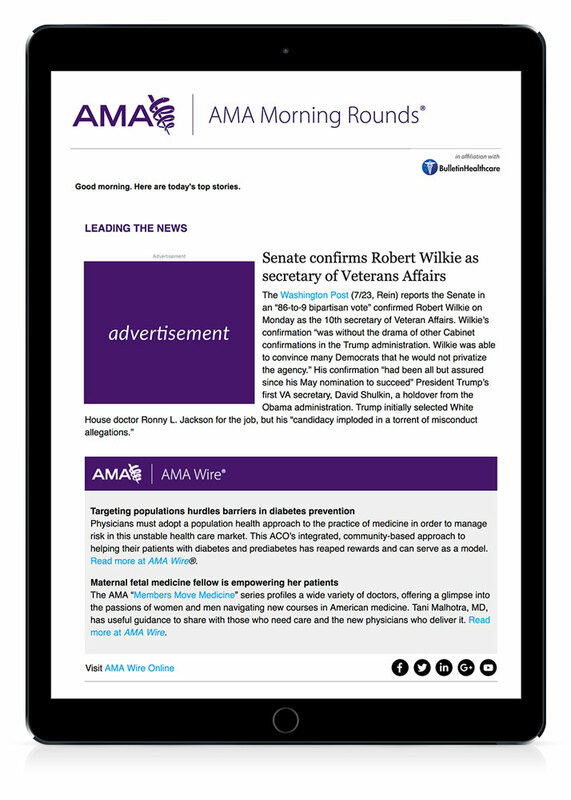 Every morning, we deliver the most important healthcare news to nearly one million members of the nation's premier medical associations via carefully customized, co-branded email news briefings. 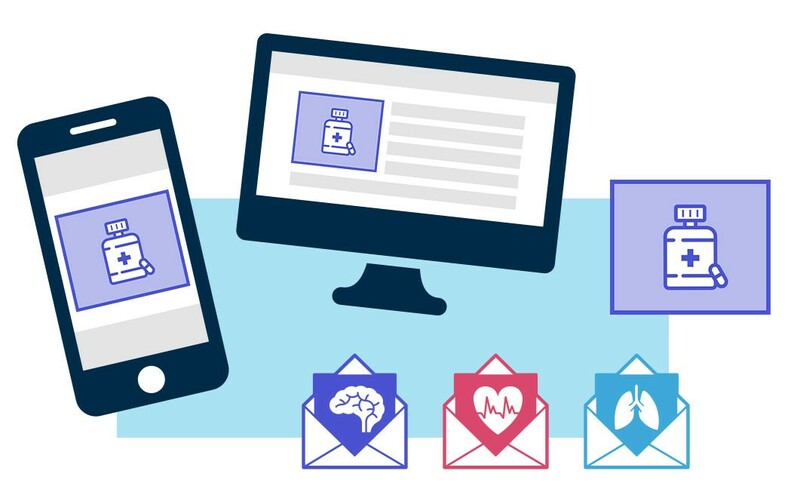 Our daily email news briefings are a high-performance solution for reaching physicians and other HCPs. 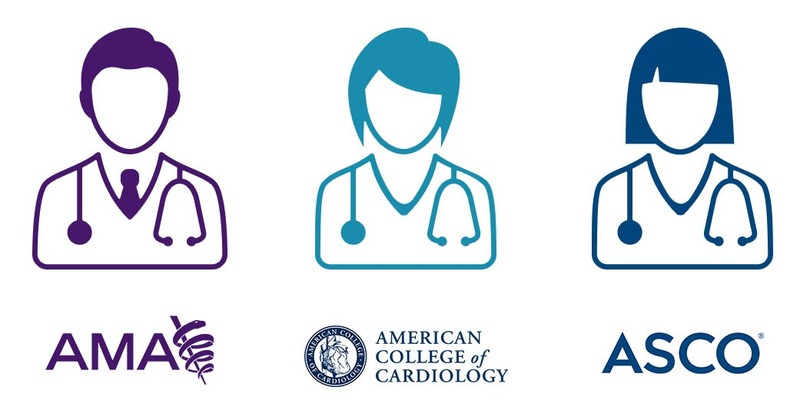 Current advertising clients include more than 200 top pharmaceutical and medical device companies, premier health systems, health IT solutions, and OTC brands.